We stay in practically every New Year&apos;s Eve now. In fact, I think we&apos;ve only actually gone out once or twice since our kids were born. Don&apos;t get me wrong...The hubs and I love a good party, but it&apos;s just easier to celebrate at home! We don&apos;t have to deal with crazy crowds or finding a babysitter who actually does&apos;t have NYE plans. So staying nice and cozy at our house is just what we do. Our family comes over and we woop it up with an appetizers and cocktails (mocktails for the little ones) spread. And that&apos;s not all...No New Year&apos;s Eve party is complete without decorations. I&apos;m talking hats, blowers and even confetti...Yes, I said confetti. Now there may be some of you fellow mamas out there who hate the mess that confetti makes. I&apos;m raising both hands over here in case you&apos;re wondering. I do NOT enjoy cleaning up that stuff. Well, never fear...Our New Year&apos;s Eve confetti craft takes the mess right out of the confetti. All the fun is still there though! This is a perfect project to make with your kids during New Year&apos;s Eve Day. 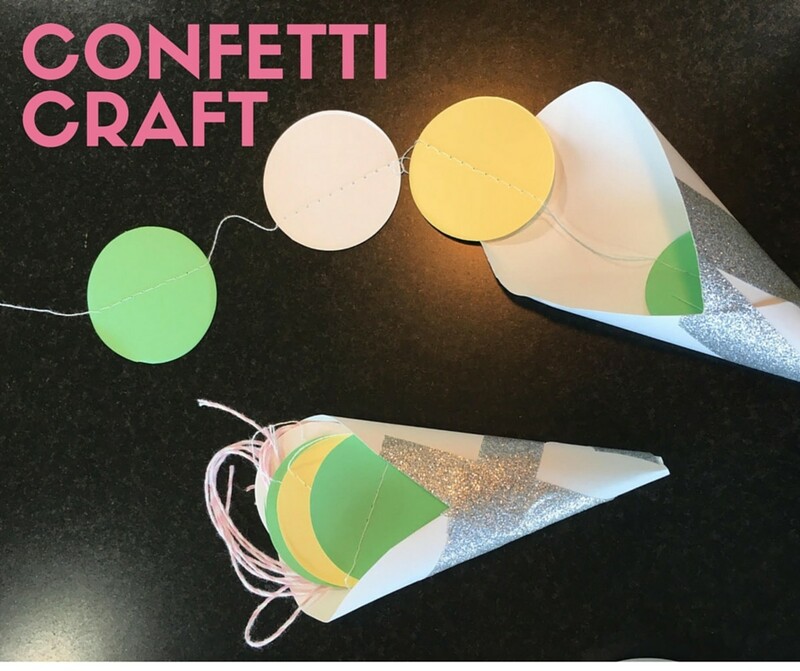 It will keep them busy while you prepare for your celebration and they&apos;ll love partying the night away with fun confetti cones that they made themselves!